This just in but it's more than deserving of its place in this mid-summer round-up. Fans of Cornelius will be interested, and in fact Takako Minekawa has collaborated with him/them in the past, as well as with Ryuichi Sakamoto and Buffalo Daughter among others. There's a touch of 80s English New Wave about her vocal, or what was sometimes called twee pop, a la Altered Images and the like. We're told that in this song Takako sings about “quantum physics, human consciousness and flying above a desert all within the framework of Japanese puns”, which definitely holds more weight than most of the twee pop you find on this side of the world. I've been meaning to post this for months, since Diane Cluck played in Cork, last April I think it was (I didn't make the gig, as often happens). She's a name I'd come across before as a CocoRosie collaborator, which is a good start, but I don't think I'd heard any of her music until this. And what a stunning introduction to the woman's music. A simple strummed acoustic guitar and her voice. The voice is idiosyncratic, you might say - there's a lilt in it, a catch sort of, or the hint of one. It's earthy but unassuming. Parts are half-spoken, drifting in and out of key, deliberately, as if blown off course by the wind. She seems to be singing to herself, or communing with a higher power, or channelling something ancient. However you read it, by the time the cello and xylophone come in towards the end, almost drawing the curtains on the piece, you are already thoroughly transfixed. I've been a bit remiss with posting on new music lately so time for some favourite tunes from the past month or two. There's plenty to catch up on. 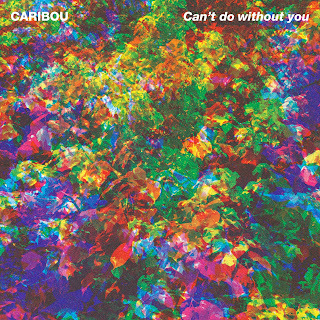 Dan Snaith returns as Caribou, after his great sideline under the name Daphni a couple of years ago. This is the lead track from new album Our love which comes out on October 7th, and in fact it takes up where Daphni left off. That is to say - warm, bouncy house backbeats, a soothing bath of synths and soulful vocal samples. It's beautiful and builds a whole world, an entire narrative, emotional arc, into 4 minutes. It comes out with an atmosphere of something like downbeat euphoria, which is an intriguing state of affairs to find yourself in on the dancefloor. Here's the full album blurb. A Trunk Records Special before the summer break for the show, paying tribute to the wonderful, varied catalogue on that esteemed English label. It's associated with cratediggers and record collectors a lot - possibly novelty records too - but really there's plenty of very accessible material in its archive. It manages to accommodate artists operating on the fringes or the shadows alongside household names (although fewer of the latter in fairness). Certainly, there's no snobbery attached, something you sometimes find in collector circles. It's a label quite obviously run by music fans. There's something in it for everyone, the kind of comment that might be taken as derogatory but is the highest compliment in this case. The archive is also the result of curation and the utmost commitment to promoting lost treasures in many cases. I've discovered quite a few of my favourite albums of all time from Trunk. A great heartwarming sound that harks back to the likes of Martin Stephenson & The Daintees from another era. Blue-eyed soulful vocals, jangly guitars, songwriting worn authentically on the sleeve. From the upcoming album We don't know where we are, which we will certainly be mentioning here again. In here you will find nostalgic cuts (summers of the past), psych pop meanderings (summers of the imagination? ), love songs, film music, plenty of soul and buckets of melody. There are also trumpets involved. You'll find a blow by blow underneath, extra background and reasons why I picked these songs. They're divided into categories which are a little arbitrary. Also, because there was only room for 18 in the hour long show, I might post another set, part 2, later in the summer. Here's the full audio now of that interview with Laurie Shaw - we had a few minutes of it on the show this week. We recorded it sitting outside at The Pavilion in Cork during the June heatwave, while Laurie was taking a break from rehearsing for an upcoming gig with his band. Laurie is originally from The Wirral near Liverpool (as is quickly evident from his accent) but has lived in Kerry for almost 10 years. He started recording using his Dad's equipment at home and has amassed more than 30 albums to date. You can find a selection on these links - http://laurieshaw.wordpress.com/music/ and https://soundcloud.com/laurie-shaw. I'll post some examples down the page. I first came across his name through Plugd Records in Cork last February, when they posted one of his soundcloud or youtube links. I believe you can buy some of his music in there too. Which is something you should do. Centrepiece of this week's show was some of an interview I did last month with Laurie Shaw (pic). Cork label FIFA Records have just announced they will be releasing something by Laurie in August. In the meantime, you can find plenty of his recordings on soundcloud. Other than that, any excuse for something from The La's, a band very dear to my heart. And Stump (with the wonderfully unhinged but somehow perfectly sane at the same time 'Buffalo' - "How much is the fish? Does the fish have chips?") one of many bands to play Sir Henry's, the legendary Cork venue which is the subject of a retrospective exhibition at UCC's Boole Library which runs until September. New music from A Winged Victory For The Sullen, from their upcoming 2nd album Atomos, orchestral ambient majesty as you'd expect. New music too from Pye Corner Audio with foreboding Krautrock grooves. I've been on a bit of a Bob Lind buzz lately. He's often unfairly thought of as a one-hit wonder ('Elusive butterfly'), but there's much more to him than that. I managed to get my hands on his debut album - embedded within a Best of collection full of psych pop nuggets, from which we heard the beautiful 'Truly Julie's Blues'. Somehow this lead me to Harry Nilsson, one of pop music's true mavericks. From 1977, the gorgeous and unsettling 'All I think about is you', a piece of work so at odds with the currents of that year, it boggles the mind. Part Ennio Morricone, part Serge Gainsbourg, it's just genius. Also new White Fence, lovely garage pop with an early Kinks flavour; new Trans Am with a krautrock flavour; new Groom, literate lo-fi guitar pop; new Ultimate Painting, a tasty slice of alt rock, in a good way. Soul mining, the classic album by The The from 1983, has just been reissued. Great to hear something from it, the wonderful 'This is the day'. And on the subject of 1983, some other British white soul from Edwyn Collins and friends in Orange Juice. Yes. Another album reissued is the debut from The Clientele from 2000, Suburban light. That sounds brilliantly fresh in its melancholy shades of Byrdsian jangle. Interesting too to compare it to Alasdair MacLean's new/current group Amor de Dias. A trio of Vacilando 68 related releases. Howe Gelb and friends with some luscious space-themed country exotica; Theatre Royal with some lovely nostalgic guitar pop; and Samuel Frank with an intriguing mixture of breakbeats and folk music. Fascinating. OOIOO, The Altered Hours, UMA. And some German lounge lizardry from Christer Bladin from 1974, compiled on The In Kraut series. Wildkatze!